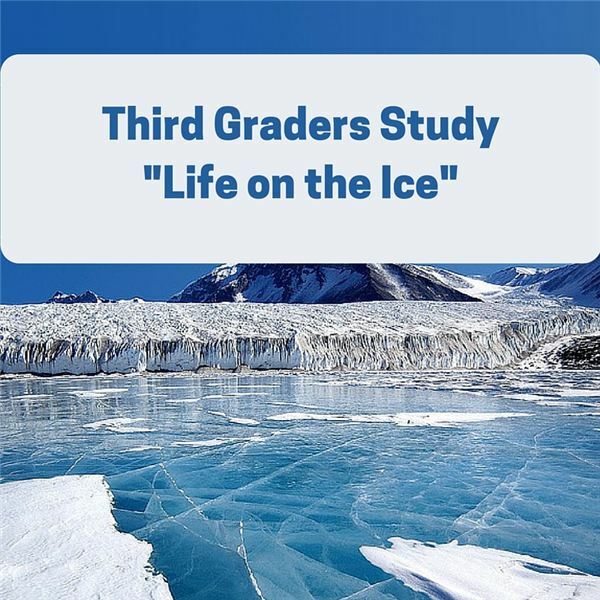 “Life on the Ice" by Susan E. Goodman; provide multiple copies of the book or photocopy one set of the pages. Each group will use only a few pages. Hold up the book and explain that it is a non-fiction book with a lot of interesting information about two places on the Earth. Instead of just reading the book place students in groups of three. Each group will be responsible for a few pages in the book. They must present the information to the rest of the class and include three questions for the class to answer about what they have learned. Read the information on your assigned pages. Take notes on the important parts. Decide how you want to present the information. This could be done by creating a poster with facts, simply taking turns reading to the class, acting out a part with props or any other creative way. Prepare your presentation. Include three review questions. Use other sources such as encyclopedias or websites if necessary. Present the material to the class. Can they answer the questions? Page 31 Why Study There? Gather the questions from each group. A few days after the presentations divide the class into two teams. Teams take turns answering the questions again. Which team remembers the most information? Goodman, Susan E. Life on the Ice. Millbrook Press, 2006.